Picture yourself a Japanese tea room. There are windows and a sliding door made of Japanese paper. 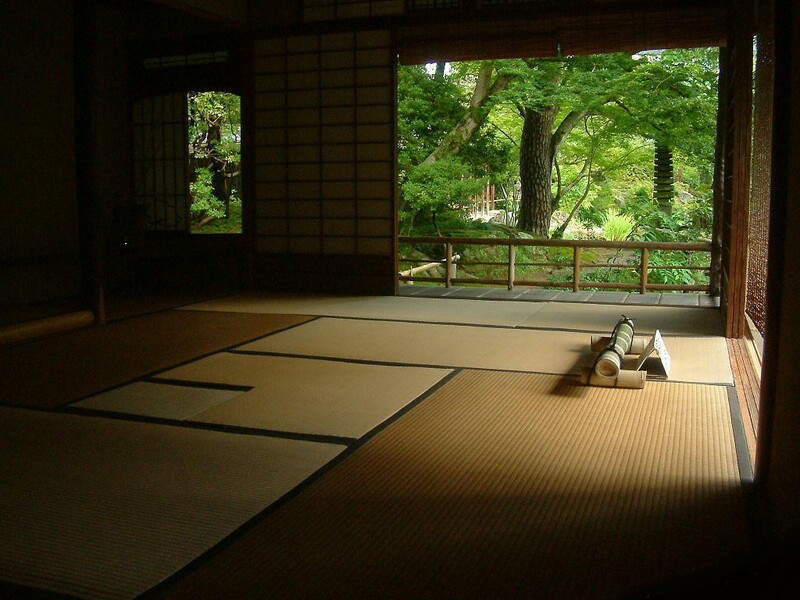 It has a wooden mat floor called Tatami that provides warm shades. The room is subdued, there are no ornaments. The space is designed to welcome guests and for drinking tea. That is all. There are no pretentious fixtures. The view outside the window works as the open picture scroll; it brings the natural light and the scene into the room. The simplicity of this room calms me down and lets me appreciate the moment. When there are only essentials left, there is nothing more to remove; it has aesthetic appeal and emotional value. Aesthetics refers to a set of principles concerned with the nature and appreciation of beauty. The Japanese tea room embodies the aesthetic aspect of simplicity. It relaxes us. The experience enhances the sensorial experience of being in the moment – seeing, conversing, smelling, tasting and breathing, and appreciating beauty. On the other hand, complex ugly visuals convey a different message. The look is the message. Visuals convey a message before people get to read or use the actual product. And it forms customers’ perception. A Gallup study on retail banking has revealed that emotionally satisfied customers are 100% more likely to spend. A well-presented visual design engages customers with positive emotions(s), and that is why aesthetics is an important part of achieving simplicity. The look is the function. And here is another compelling reason why we need to be obsessed with aesthetics. A study by Nielsen Norman Group has shown that when something is aesthetically pleasing, it actually improves people’s ability in using or understanding it. Say there is a mobile banking app that offers same features. The aesthetically pleasing mobile banking app intuitively makes people the app better than an ugly looking app that had the same features. The changes that they carry out wrong transactions is significantly less compared pared to the ugly looking apps. It is the message and it is the function, not ‘just’ look & feel.